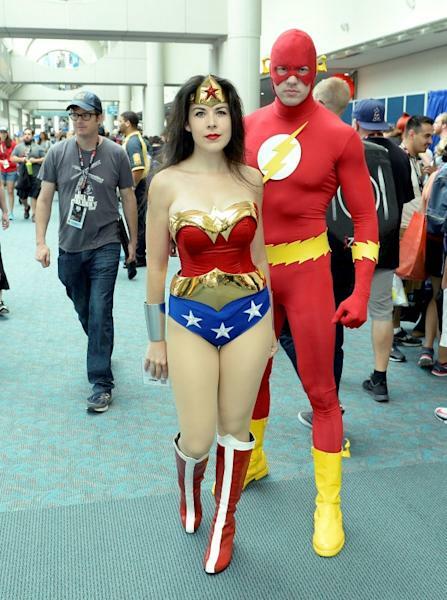 Desk jockeys in eye-wateringly tight spandex will blur the line between fantasy and reality this week as they invade San Diego for the world's largest celebration of pop culture fandom. 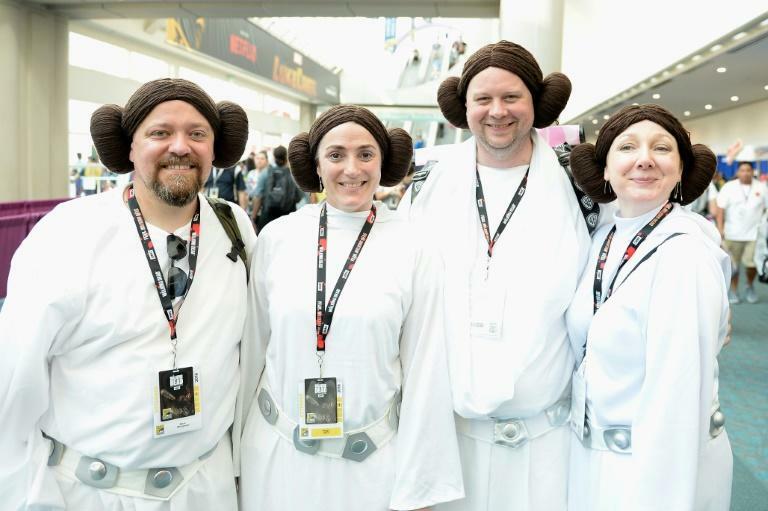 The 49th Comic-Con International will revel in movies, TV and -- yes -- comic books, as fans in pitch-perfect monster, alien and manga costumes swelter in the southern Californian heat over five surreal days. Where fandom abounds, controversy is never far behind. And the big bone of contention this year is Disney's decision not to bring its Marvel Cinematic Universe (MCU) to Comic-Con, despite a record-breaking year with "Black Panther," "Avengers: Infinity War" and "Ant-Man and the Wasp." "It's going to be an interesting year this year," said SyFy Wire editor-in-chief Adam Swiderski in a video preview of the Wednesday to Sunday get-together at the city's harborfront convention center. "A lot of the big players like 'Marvel,' 'Star Wars' and 'Game of Thrones,' who dominated past cons, aren't going to be there, which gives other properties an opportunity to step into the spotlight." Since its humble beginnings in 1970 as the Golden State Comic Book Convention, a gathering of a few dozen geeks who swapped superhero magazines, Comic-Con has exploded in popularity. Each July, it attracts around 130,000 cosplayers, movie executives, sci-fi fans and bloggers to a feast on all manner of panels, screenings and other attractions. Described by Rolling Stone as the "Super Bowl of people who don't like watching the Super Bowl," Comic-Con's beating heart is the 6,500-seat Hall H, where a cornucopia of stars hawk their latest work. Devotees have been known to wait for days to be among the first to get into the sprawling arena, taking turns with family members and other fans for toilet breaks and sleep. New Line Cinema and Warner Bros. kick off proceedings Wednesday with "Scare Diego," where fans will enjoy insights into "It: Chapter Two" and the frankly terrifying-looking "The Nun." The convention has traditionally persuaded most of the big studios to turn up for detailed presentations of their highly anticipated slates of upcoming movies -- but not this year. Disney is presumably saving its biggest treats for its own biennial D23 fan convention, and Universal's segment is dedicated to just two movies -- M. Night Shyamalan's "Glass" and David Gordon Green's "Halloween." Elsewhere, Paramount brings its spinoff Transformers film "Bumblebee" and Fox has a "Deadpool 2" celebration and preview for its "Predator" reboot. Sony presents "Venom," and the animated "Spider-Man: Into the Spider-Verse," neither of which are considered part of the MCU, although Marvel was part of the production team. That cedes the center stage to Warner Bros., which is expected to pull out all the stops in its two-hour Saturday spot. The schedule is kept tightly under wraps, but insiders say there will almost certainly be thrills and spills from "Aquaman," "Godzilla: King of the Monsters," the new "Fantastic Beasts" movie and "Shazam!" "This is a fun room. It's going to be crazy busy for Warner Bros., like it always is," said James Riley of the SDConCast podcast. "But without the pull of the evening Marvel panel to generate such a fervor for the line... we have a feeling this is actually going to be an easy day to get into Hall H."
The television side of the Comic-Con gets increasingly bigger as the stars follow the voluminous torrent of cash into TV productions funded on a scale never seen before. This year's Hall H is expected to be more notable than ever for its small-screen content, despite the absence of HBO's big-hitters. "Several other networks will be showing off new and returning series in a hope to cut through the cluttered landscape and maintain, or possibly grow, viewership," said Lesley Goldberg of The Hollywood Reporter. AMC has the pick of the convention with a debut appearance from "Better Call Saul" alongside a 10th anniversary reunion panel for "Breaking Bad" and a discussion on acclaimed graphic novel adaption "Preacher." "The Walking Dead," the most successful show in US cable television history, is back ahead of season nine, expected to debut in October, and there is a panel for its sister show, "Fear the Walking Dead." Other studios plying their TV wares include YouTube Originals and Fox, while SyFy stages what promises to be an emotional farewell to the "Sharknado" franchise. Marvel's movie people might be largely absent, but the studio boasts numerous panels and other event for its TV output, including "Cloak & Dagger," "Iron Fist," and "Marvel's Avengers: Black Panther's Quest."